Here we have another AR-15 lower receiver with some pretty substantial “artistic” creative liberties. 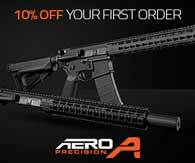 The Spikes Tactical AR 15 Warthog Billet Lower Receiver STLB510 is as the name implies. 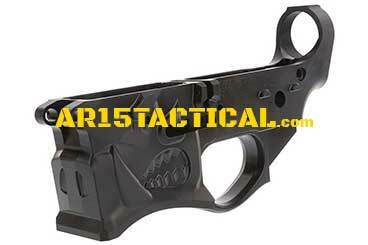 An AR-15 lower with the likeness of a Warthog formed in to the magazine well. I remember when the Spikes Tactical spider logo was considered wild. My how the times have changed. Regardless we like the Spikes Tactical AR15 hardware around here. I don’t see a Warthog in my future though. Now get a German Shepherd on there and you will have my undivided attention. The Spikes Tactical AR 15 Warthog Billet Lower Receiver STLB510 is a series lower featuring a mean warthog face magwell inspired by all those wild hogs out there. 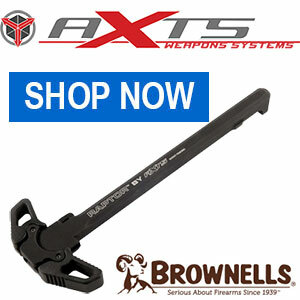 This lower has additional features not found on standard forged lowers. These features include: Front Grip Serrations (Hogs nose and teeth), Enhanced Magwell Flaring, Integrated Trigger Guard.